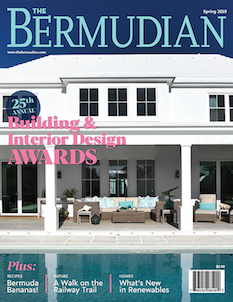 At The Bermudian magazine we are always thrilled to celebrate successful local businesses excelling in their respective areas of expertise in our annual Product & Service Awards. This year we are pleased to honour newcomers like Connectech and Dasfete who are quickly making names for themselves alongside past winners like Abacus and Redlaser who prove that consistent excellence will continue to be rewarded. And we are beyond excited to bestow our Award of Excellence on our youngest entrepreneur winner ever, Ashley Stephens of Ashley’s Lemonade—a young lady with admirable drive and enthusiasm who showcases the very best in hospitality to each and every one of her customers. The Bermudian is extremely grateful to our judges who gave their significant time, energy and expertise to research and poll in each of these following categories before coming together to decide the winners. Without their dedication these awards would not be possible. 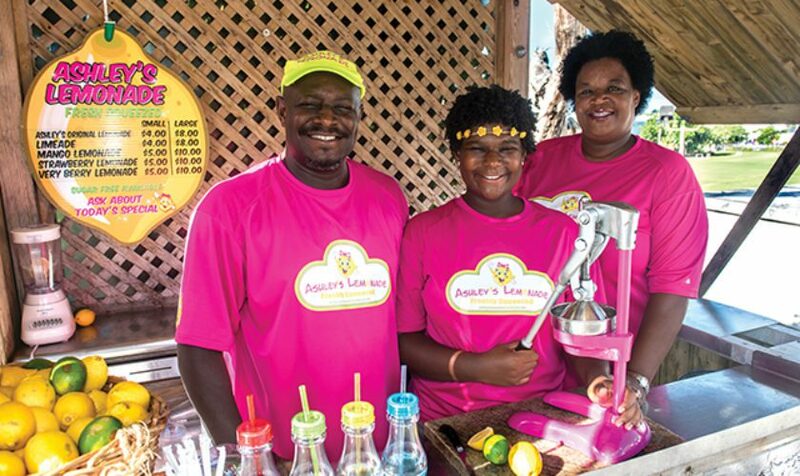 What started as a Saturday lemonade stand outside her mother’s clothing store in 2011 has since grown into one of the island’s most recognised brands! It’s been an impressive rise for teenager Ashley Stephens whose bubbly personality and engaging manner has helped make her Ashley’s Lemonade a household name. Working alongside her supportive family, her freshly squeezed concoctions are highly sought after at every major event from Harbour Nights to the America’s Cup. Refreshing, delicious and with ever-changing additional ingredients like ginger and pineapple, the lemonade is simply the best. This year our judges were adamant that she receive this recognition as the young entrepreneur is a shining example that hard work, perseverance and positive energy are truly the pathway to success. We can’t wait to see what lies in store for this rising star in the future! Today’s work environment needs to be a fluid one as more employees work flexible hours in interchangeable office plans than ever before. However things change, your staff will always need certain supplies and our judges say the best place to purchase all the pencils, paperclips, chairs and computers is A.F. Smith. With free online ordering and a quick delivery service, customers can search and set up a new office—or renovate an old one—in no time, and furniture can even be rented or leased saving major up-front capital expenditure. Keeping up to date with ever-changing office dynamics and customer needs keeps A.F. Smith at the top of this list. While big office environments need to be fluid, small businesses need to be nimble to survive and keeping costs—especially overhead ones—low is key. But when your office is in your living room and you need to meet with a potential investor or new client, what do you do? Que Connectech. The new co-working office and meeting space rents small conference rooms for four to six people as well as a large meeting/training room that can accommodate up to 50 on an hourly, daily or weekly basis. Fully connected with all the audio/visual bells and whistles you would need, Connectech was highly recommended by our judges who say its central location helps give it an edge over the competition. Redlaser has been a top winner in this category for a number of years because of their exceptional customer service, generous selection of both Mac and PC products and competitive prices. Now with an improved website and unparalleled speedy delivery, our judges say the little computer store on Bakery Lane will continue to be hard to beat for years to come. Purchasing computers for your office is the easy part. Setting up a massive network infrastructure with customised programming needs to be handled by the pros. Whether you are a small interconnected business or a large multinational corporation, our judges say the 55-employee-strong team at Applied Computer Technologies (ACT) is best suited to build and manage all manner of IT infrastructure. And no need to panic when a virus strikes—the company also provides remote monitoring, patching and general system maintenance to make sure your business continues to run smoothly. Proven worthy of their name, the experts at Expertise continue their mission to be the best. With 40 HR and financial professionals on staff, the company does it all from executive searches to relocation services, temporary staffing and teambuilding, and serves all types of local businesses—including retail, reinsurance, banking and construction, just to name a few. So if you are looking for a new CEO or need help with maternity leave cover, our judges recommend you turn to the experts at Expertise. Sure anyone can book a single trip on Expedia/Kayak/Priceline/et al, but organising flights, hotel and transport for 25 staff members to attend a convention in San Francisco? Leave that to the professionals! For the best in business travel planning, our judges say Worldview Travel leads the way. With their ability to leverage top travel technology, 24/7 customer service and global partnerships, they can deliver better and more cost-efficient corporate travel support services than ever. While most of us strive to avoid legal services in our lives, in the corporate world they are an integral part of doing business. Started in 2008 by directors Sharon Beesley and Marco Montarsolo (hence the name), the boutique law firm is part of the BeesMont Group which also provides corporate secretarial services, a consultancy and management company and a business solutions company, making them the go-to firm for all manner of corporate needs. Abacus</ad dress>If they are counting (and we know they are!) this makes six wins in a row for last year’s Award of Excellence winner, Abacus. Owned by Megan (Aruda) Nesbit, CMA, the accounting firm is known for its attention to detail and highly personalised service handling everything from basic accounting and bookkeeping support to fully-fledged management and controller services. Apparently they are the best in everyone’s books! While you are home binge-watching your favourite Netflix series after a hard day of work, little magical office elves are busy dusting, vacuuming and emptying the trash under your desk. Well, not really elves, but rather the exceptional staff at Bermuda Cleaning Ltd. are, and they are the best at it, say our judges. With 60 years of combined industry experience and a recent merger with Town & Country Carpet Ltd., the firm uses state-of-the-art equipment and eco-friendly products to leave your work environment spotless, dustless and trashless, day in and day out. Just like magic. From that all-important, signed contract paperwork to the just-can’t-find-in-Bermuda product your business needs, our judges say you can trust the fast and friendly staff at FedEx to handle all your shipping needs. With a convenient drop-off location on Burnaby Street, easy parking and friendly service at their Mill Creek service centre, real-time tracking and speedy delivery, FedEx checks all the boxes. Founded in 1936 by highly acclaimed architects Wilfred Onions and Valmer Bouchard, OBMI has continued their legacy of creating a distinctive local architectural style over the last 80 years. Highly sought after for all sorts of interior and architectural design projects, the multi-award-winning team of consultants, architects and designers were responsible for the design of the new KEMH Acute Care Centre, the renovations to the St. George’s Visitors Centre and have most recently been hired to provide guidance on Bermudian building methods and materials for the controversial airport redevelopment project. Another long-serving Bermudian business, Rego Sotheby’s International Realty has been renting and selling local homes and business spaces since 1949. With 15 agents on staff with dedicated areas of expertise, our judges say you can trust the “professionalism and personal service” from the staff there, whether you are searching for a new office space in town, in need of a vacation rental for a visiting client or relocating the CEO. It is pretty tough to beat the newly renovated “Pink Palace” for the best businessperson’s hotel. An urban oasis just a few steps from the hub of all major corporate offices on the island, it is ideal for both the sole traveller and the CEO who brings their whole family for the week. With a lounge perfect for a casual meeting, multiple dining experiences for those all-important business dinners, and the happy-hour spot for after all the meetings are finally finished (plus a brand new spa for de-stressing), Hamilton Princess is simply the best. They claim they can make your brand ROAR—and, judging by how much attention they are getting in our awards these days, Brand Lion certainly seem to be making a fair deal of noise themselves! With clients like Polaris Holdings, Bermuda Security Group and Orange Bay Company they certainly prove their diverse abilities making them a standout in our books. And, finding a hole in the marketplace for locally sourced models, actors, etc., they recently launched a new creative talent search website—www.raawrtalent.com—to make it easier to find the superstars clients need. With landlines and telephone books becoming relics of the past, businesses now need to rely on their web presence as the first source of contact for those seeking their products and services. As such, a quality website works the same as a beautiful shop window to attract new customers. Our judges say when you are looking for the best the talented web masters at Cosmic are the ones to call first. Stephan Johnstone’s Design World was founded in 2004 as an online avenue for the work of talented graphic designer (and well-known spoken word artist) Stephan Johnstone. Since then, his star has been on the rise, winning major campaign contracts and numerous awards in this category. Recently the team there created the popular America’s Cup Endeavour activity book—but hurry if you still haven’t got yours yet as they are almost gone! 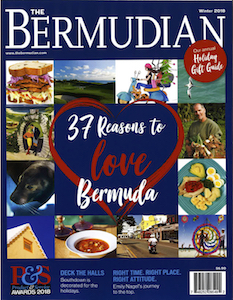 At The Bermudian magazine we certainly acknowledge that there aren’t many printing companies left on-island, but we would be remiss if we didn’t acknowledge the exemplary customer service and quality printing that Bermuda Press is best known for. With a capability of 15,000 sheets per hour, turnarounds are quick and the company’s investment in technology means the quality is first rate. From simple business cards to extensive annual reports, they are the go-to when you want the best. Bermuda Blueprinting has long been known for their innovative design, printing and installation of all manner of local signage both big and small, but they really proved their worth (and grabbed our attention) with the recent America’s Cup signage they were responsible for printing and installing—including the enormous one on the side of the 141 Building on Front Street, as well as all the bus window films promoting “America’s Cup is (insert name here)’s Cup,” just to name a few. A favourite amongst local business commuters, Dangelini’s is ideally situated as a quick and friendly stop to grab that essential first cup of joe on the way to the office. With delicious coffee, super-friendly service and scrumptious baked goods to sweeten the hectic morning, the little coffee shop next to the ferry terminal is the best in our books. Often a boardroom just isn’t the right setting to make an impression on an important new client. Close enough to walk to but far enough to feel like you’ve left the hustle of the city, thankfully Harry’s at the Waterfront Complex is the perfect escape to impress even the most discriminating one. “You just can’t beat lunch there outside on a nice day,” stated one judge while others commented on the exceptional service and next-level dining experience. This new Middle Eastern take-out restaurant opened a year ago and has been doing steady business ever since. The casual take-out features everything from hummus to pizza, shawarma-cooked meats to freshly baked bread and is fast and easy to grab and go. And, at press time, Casablanca was planning on opening up a new location on Front Street promising to be “quick, fun and hip.” Perfect! Crossfit is definitely for those who take their fitness seriously, with Olympic-lifting and intense plyometrics combined with traditional strength and conditioning training. For those not looking for that level of intensity but still wanting to incorporate a comprehensive fitness class in their schedule, our judges recommend checking out the Crossfit Cardio class held Monday through Friday at 1:00 p.m. where the focus is on high-intensity interval training, light-weight dumbbells, circuits, plyometrics and cardio. And who knows, it just might inspire you to kick it up a notch and get lifting! Many restaurants can fill a specific niche but few can cater to all the varied needs for a business dinner quite like Blû at Belmont Hills. For casual dining they have the Soho lounge with sushi and tapas; for an al fresco experience there is the American Deck with its unbeatable sunset views; and when you need to be discreet, they even have a private dining room available. While it may not have set out to be the best business-dinner restaurant in Bermuda, Blû certainly has all the perfect ingredients for one. A beautifully packaged gift set containing four iconic local products that offer your clients a true taste of Bermuda—what gift could beat that? Authentically Local Bermuda has created a custom-designed reusable tote containing a 4-ounce Original Horton’s Bermuda Black Rum Cake, a bottle of Outerbridge’s Original Sherry Peppers, Barritts Bermuda Stone Ginger Beer and Outerbridge’s Original Bermuda Rum Swizzle Mix, along with a brochure on the history of these well-known brands and a website with recipes for traditional dishes like fish chowder and cassava pie. It is a combination delicious enough for our judges to highly recommend! From brightening up your employees’ desks every week to making an impression at a major corporate event, the team at DEMCO is well versed at creating beautiful bouquets of all sizes. With great attention to detail and unparalleled customer service, our judges declared them “the best, hands down” this year. Quickly making a huge name for themselves in the event planning business, partners Selange Gitschner and Matthew Strong of Dasfete have been racking up the awards. They recently received the Award of Excellence in the Shopping & Services category of our 2017 Best of Bermuda Awards, and once again judges have taken notice of these rising stars. (Side note: These awards were selected before the Best of Bermuda Awards were announced.) With one amazing event after another on their busy calendar we fully expect to see and hear more about this dynamic duo! The best thing about Bermuda is just about everywhere you look is an amazing venue for a party. But when you need somewhere exceptional, our judges recommend Fairmont Southampton. With an expert team of event planners available on site and 18 venues to choose from—including a grand ballroom and the state-of-the-art Mid-Ocean Amphitheatre—along with talented chefs on staff, rest assured that your event will be more than exceptionally catered to this party season. Known around the island for the exceptional flavour of their authentic local dishes, Wilks Catering has been the recipient of several catering awards over the years—and the proof is in the pudding, literally. Whether it’s just a romantic dinner for two delivered to your doorstep or an entertaining exhibition of barbecue skills at a large corporate event, the team at Wilks is capable of it all. When 5:00 p.m. rolls around on a balmy Friday night, it is time to loosen the tie and head to the best harbour-side happy hour in town—Marina Nights at 1609. With the sun setting, DJs spinning, cocktails flowing and a stunning view of Hamilton Harbour as a backdrop, the marina is the best place to be when you want to wind down after a long week. When it comes to transport in Bermuda, there certainly are numerous options to choose from. But when you need the best, our judges say call on Flood Transport first. Owned by brothers Tim and Tyrone Flood, the company has a mini-fleet of taxis and vans to call upon whether you need the head-honcho collected at the airport or an entire convention of people transported around the island. We hear they are so good that advanced bookings are highly recommended! Team bonding and corporate rivalry is taken to the next level at the annual Xtreme Sports Games held at the National Centre! With crazy games like Human Hungry Hippos, bubble football and zorb racing on the agenda, 20 local companies battled it out for the championship crown, big bragging rights and cash for the charities they support. This year saw KPMG take first, with JLT second and Butterfield Bank third on an epic day in April. Want to join in the fun? Sign up for the 2018 games or just rent any of the equipment and create an insanely fun staff day anytime of the year. The Royal Bermuda Regiment has served the people of Bermuda for over 50 years, yet it rarely gets the acknowledgement it deserves for giving young men and women opportunities they may not otherwise get and instilling pride in helping their fellow Bermudians when they’re needed most— such as during a time of unrest or after a major hurricane. Soldiers receive competitive pay, acquire transferable skills for future employment, get free transport on buses and ferries and discounts at many local businesses, and travel to far off lands like Australia, Sierra Leone, the UK, the US and many Caribbean islands. And the bonds of friendship are second to none. It’s time the Regiment and all who do their duty receive the honours they so richly deserve. There are plenty of reasons a business may need a storage facility—for storing data backups, excess workstations, or the contents of an entire office during a move. Regardless the need, our judges say Island Self Storage is the best for their state-of-the-art facility located just outside of town. Highly secure and climate controlled, they have various unit sizes available and even offer trucking services to make your move easier. Tenants have 24/7 access and the whole facility has a back up emergency generator to ensure your stored items are safe and available whenever you need them. If life gives you lemons, you need to turn to teenager Ashley Stephens and learn how to create a super successful business out of them. Founded in 2011 as a roadside stand outside her mother’s clothing store, Ashley’s Lemonade has grown into a massive success with everyone flocking to the family-run pop-up stand at every event. And, if you are lucky enough to get the super-sweet Ashley serving you herself, be sure to ask the budding entrepreneur for some tips! Surrounded by ocean and thus vastly affected by the health of it, the people of Bermuda need to be focused on protecting the waters around us. To that aim, Butterfield Bank launched the Seabin Global Pilot Programme at the Hamilton Princess & Beach Club’s marina earlier this summer. The seabins are just what they sound like—a floating trash bin that syphons in water like a vacuum and filters it back out trapping the trash inside. The trash is then analysed for data and disposed of. Being part of the solution makes Butterfield Bank the best in our books! Bees are big news these days as their vital importance in the food chain is being highlighted due their very existence being threatened worldwide. While most of our experience with bees has been with honey and the occasional sting, beekeeper Spencer Field has been passionate about bees since his grandfather introduced him to the occupation as a child. Now he has over 40 hives islandwide and aims to educate Bermudians on how vital our bee population is. For his role saving the bees (and all our flowers, fruits and vegetables in the process) we salute Spencer’s hard work and dedication. Nearly everyone’s life is touched by cancer at some point—either through a loved one struggling with the disease or themselves fighting it. Prior to this year, in order to get life-saving radiation treatment patients had to fly overseas, taking them from their family and their career. Considering radiation is recommended for 60–70 percent of all cancer patients (approximately 200 people in Bermuda every year), the need for on-island treatment was apparent and is now finally available thanks to Bermuda Cancer and Health Centre. 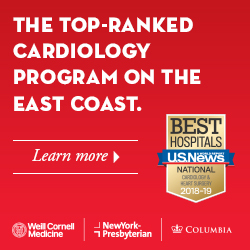 Through affiliation with Dana-Farber/Brigham and Women’s Cancer Center even uninsured and underinsured cancer patients will be given equal access to the services at no additional cost. Thanks to funds raised by Relay for Life and others, the clinic is now open but still needs funds to keep it running so please consider donating if you can! Doing their part to try and change the cultural norms of dangerous driving in Bermuda, the team behind the powerful A Piece of the Rock documentary that was produced earlier this year definitely deserves our recognition. It’s currently only available on the iTunes App Store, but the Gorham’s Bargain Blitz app is already a hit! Simply download the app to your smartphone and when shopping you’ll receive exclusive item discounts by simply presenting your phone to the cashier. No coupons to print or flyer to carry around. Isn’t the future great? The perfect place to get dressed up and let your hair down this holiday season is at Café Lido at Elbow Beach. With the al fresco Sea Breeze Lounge for cocktails, the first-class Lido restaurant for dinner and The Deep for dancing afterwards, it is the perfect place to party the night away—all those who are on the nice list this year, that is. Don’t forget to invite Santa! These ladies are a roaring success and certainly take pride in their work (see what I did there?). The super trio of Zina Edwards Malcolm, Nikki Fagan and Tusha Stovell has been getting recognition all over town for handling their clients’ PR needs at an exceptional level. Keep roaring ladies!